In this month’s edition of What’s New in Brisbane we’re playing catch up with all the awesome new Brisbane restaurants, bars, and cafes that have set up shop since the new year. These are the new Brisbane restaurants, bars, breakfast haunts, and health-food havens to check out this month. With the swathe of new American restaurants and bars setting up shop in Brisbane it was only a matter of time before one went full-hotdog. The Manhattan Line is dishing up a bar menu that’s heavy on the ‘dogs, and it’s pretty great (hot tip: the wings and chilli fries ain’t bad, either). This is also one of the few places in Brisbane you can get a Dr Pepper. Word. 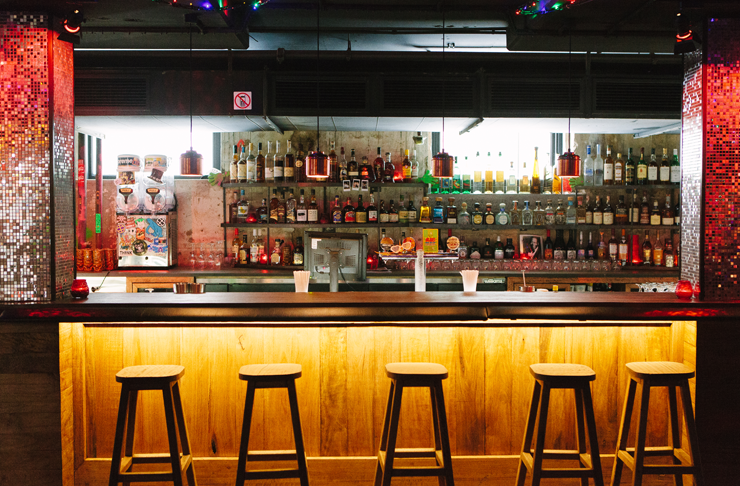 It’s no surprise that a new Brisbane bar from the guys behind Lefty’s would be a hit, and Sonny’s House of Blues does not disappoint. 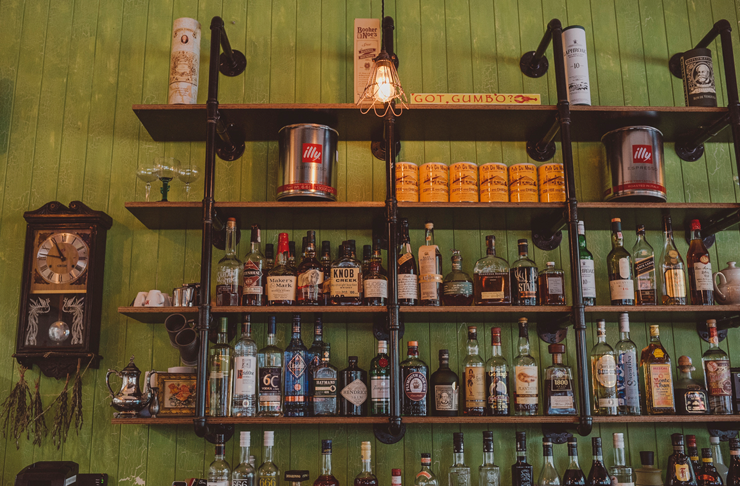 A dive bar and live music venue, which also doubles as a Mexican restaurant, Sonny’s is a very cool new addition to the roster of Brisbane’s best bars. A comfy new American restaurant in Auchenflower, Blue Raven is dishing up hearty serves of USA favourites, including ribs, wings, and all the trimmings. New Brisbane café, My Mistress falls on the right side of hipster cool. This little oasis in Clayfield is dishing up delicious breakfasts made using fresh Queensland produce. We can’t get enough of their epic brekky bagel, The Morning Glory. Cold-pressed juice and plant-based café, Press’d have moved down the street from their former home, and are now serving a full, raw breakfast and lunch menu from their new digs. Beloved Brisbane gluten-free and vegan baker, Two Teaspoons, has set up shop in their first-ever permanent digs, a cute little café in Jindalee. Serving up an array of sweet treats that are either dairy- or gluten-free, raw, or free of refined sugar, we predict big things for this little café and bakery. Fans of this CBD restaurant now have even more reason to celebrate, because Vapiano has a beautiful new venue in Garden City, with the same relaxed atmosphere and great Italian food as the flagship. Their Crudo pizza is a favourite. Louisiana has come to Brisbane, with the arrival of new South Bank restaurant, Bourbon Street. The Creole-influenced fare includes a lunch menu that’s all about the po boy sandwiches and a cocktail list straight out of the Big Easy. Hole-in-the-wall new café, The Dugout on Ernest is dishing up quality take-away chow and great coffee. The latest venture form the crew behind The Roastery Café, this is one to check out if you’re after a great brew on the south side.